On Sept. 24, the National Hockey League visited Utah to feature an NHL game for the first time since Oct. 5, 2008. The last time the top-tier professional league visited Utah, the game featured the Los Angeles Kings and San Jose Sharks. This time around, the Kings returned to play the Vancouver Canucks. Unlike the first time the NHL visited the beehive state, the game played on Sept. 24 featured two native Utahns who find themselves as teammates playing for the Kings, Daniel Brickley and Trevor Lewis. 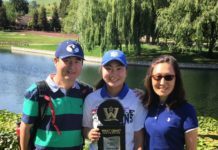 Utah is not known as being a predominant hockey state when compared to the likes of other areas in the U.S. such as Minnesota and New York. Utah has only sent a total of five players to the NHL. Brickley and Lewis are the only current players hailing from Utah that are now signed with an NHL team, in addition to Anaheim Ducks assistant coach Steve Konowalchuk. Lewis is a two-time NHL champion. He has brought the Stanley Cup, the trophy awarded to the team that wins the NHL championship, to Salt Lake City twice in both 2012 and 2014. 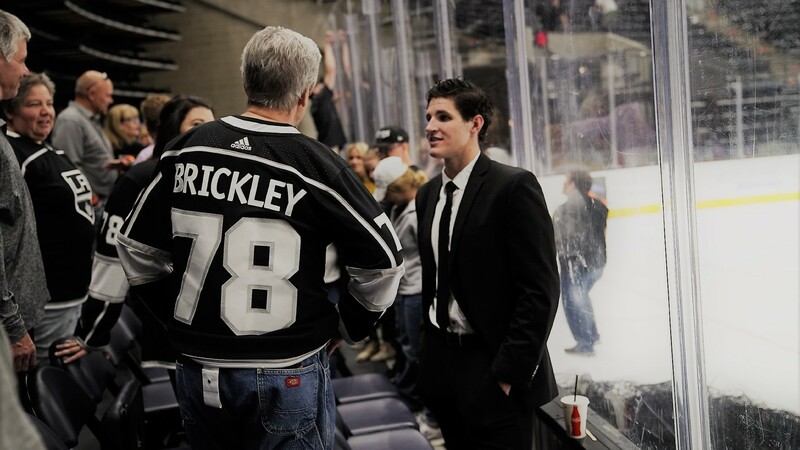 Brickley signed his contract with the Kings on March 30, during a press conference at Vivint Smart Home Arena in Salt Lake City. He mentioned being surprised when he found out he would be returning to his home state of Utah to play a professional hockey game. The tie between Brickley and Lewis goes further than playing for the same NHL team, however, with their fathers playing hockey together before Brickley and Lewis laced up skates of their own. Brickley was recently sent to the Los Angeles Kings affiliate team Ontario Reign of the American Hockey League. The AHL is a developmental league that acts as a “farm system” for the NHL and Brickley will spend some time with the Reign as he continues his preparation in becoming a full-time NHL player. 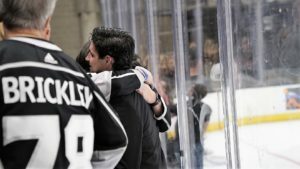 Their season is set to start the 2018-19 season on Oct. 5 when the Reign visit the San Jose Barracuda. Lewis and the Kings will also start their 2018-19 campaign on Oct. 5 when they play host to the San Jose Sharks. Though the NHL is not represented by many native Utahns, these two lifelong friends are excited to continue a journey that started more than 30 years ago. “I’m happy to have Daniel here, another NHL Utah boy,” Lewis said.